“… a big Thank You to you and the orchestra members for the wonderful music that you provided for our Volunteer Appreciation dinner. Everyone enjoyed the music so much. It was just their type of music and brought back so many memories!" Allyson McCarthy, Sunrise of Burlingon. "Thank-you again for the happy perfect music for our wedding dinner. 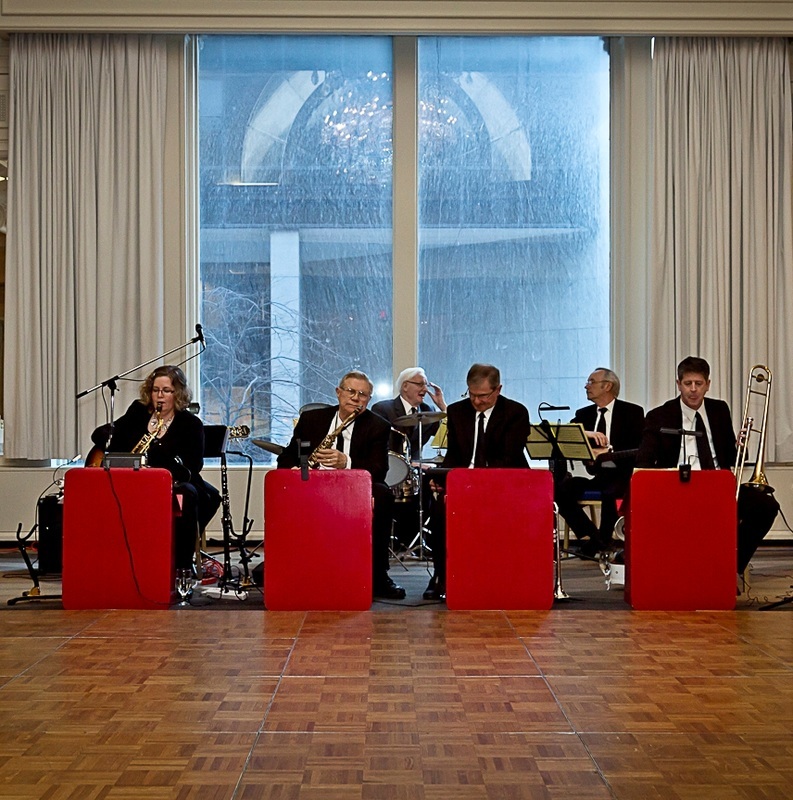 Not only did Nancy and I thoroughly enjoy the melodic swing and Broadway sounds, but everyone we spoke to at the wedding said how much they enjoyed your band. We will certainly encourage anyone looking for a band for an event to seriously consider selecting the Peter Banting ﻿SWINGTET." Frank Bowman, Counsel, Dentons Canada LLP, and Nancy Bowman, CFP, CIM, Leon Frazer & Associates.